Sometimes you have bits and pieces of information in your head but they have yet to coalesce into a linked arrangement that qualifies as knowledge. Prior to this trip to Chiang Mai, that described the state of affairs in my mind when it came to the subject of Northern Thai cuisine. 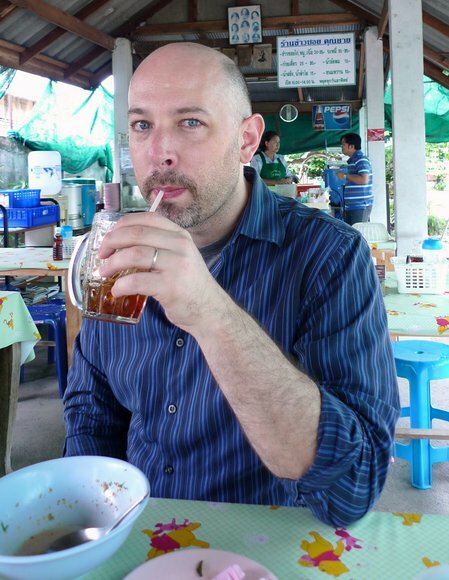 On this trip, though, the bits of knowledge started to come together and my understanding of Northern Thai cuisine began to solidify. The process began, appropriately enough, over a bowl of khao soi. Khao soi means snipped or trimmed rice and it refers to the way the noodles used to be made in this classic curried noodle soup. Originally, sheets of rice noodles colored and flavored with turmeric were rolled up and then snipped into strands. These days, though, the dish is generally made with egg noodles. The dish is believed to have roots with the Hui, Chinese muslims from Yunnan province. Similar dishes with similar names are found in Burma, northern Thailand, and Laos, the result of the trade routes crisscrossing the area where the three countries not far away from China. 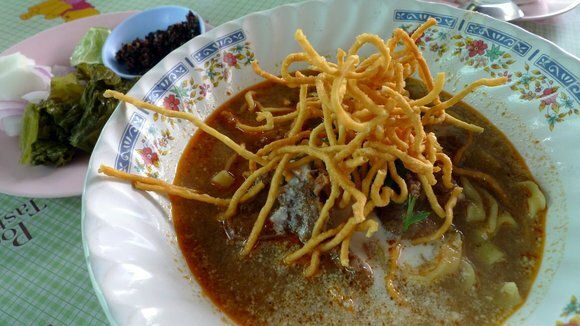 While khao soi has a curry base, it is usually not as thick as a traditional curry. It also does not have a lot of spicy heat, although it certainly has a lot of flavor. The dish also relies on two types of noodles: fresh ones in the soup and deep fried ones on top to add some crunch. All in all, it qualifies as comfort food and is certainly a defining dish in Northern Thai cuisine. 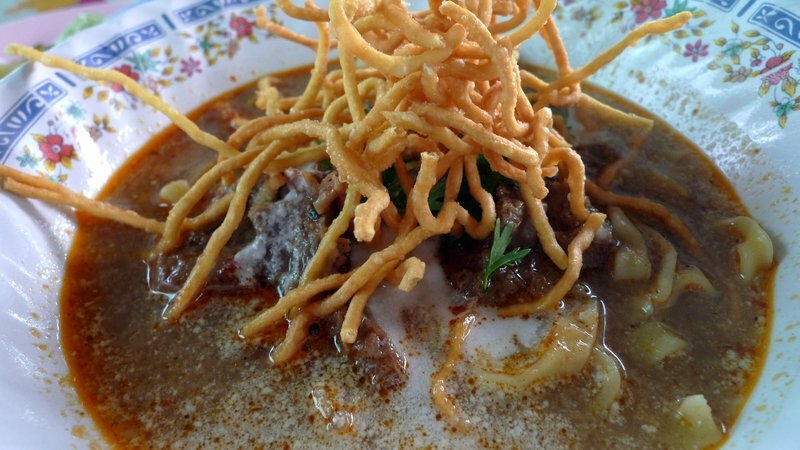 We ate khao soi a trio of times during our trip. 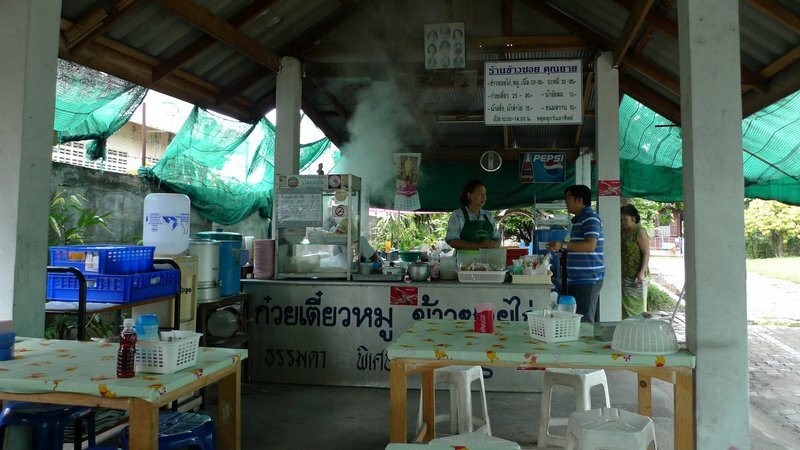 The first stop was at Ran Aahan Khao Soi Khun Yai, which translates as “Grandmother’s Khao Soi Restaurant.” Located on Sriphum Road, which runs along the inside of the north moat, Grandmother’s Khao Soi is in a private residence nestled between two wat, or temples: Wat Kuan Kama to the east and Wat Montien to the west. 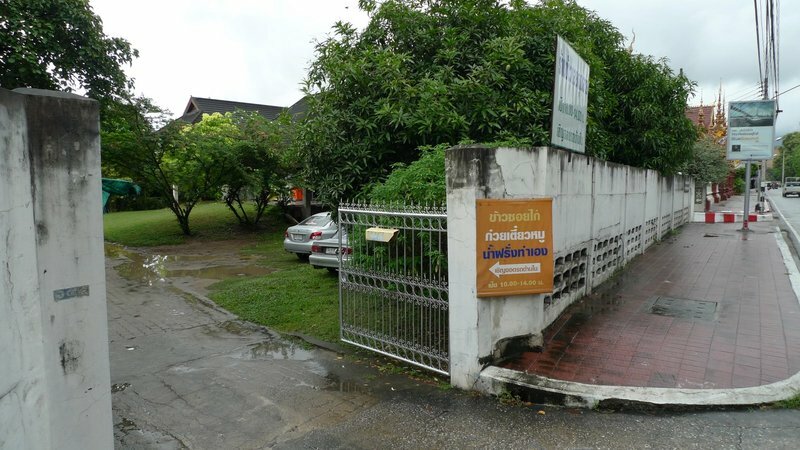 It is only this small orange sign, all in Thai, that indicates the entrance. Parking is limited to a few places on the grass and most customers walk from nearby businesses and houses. 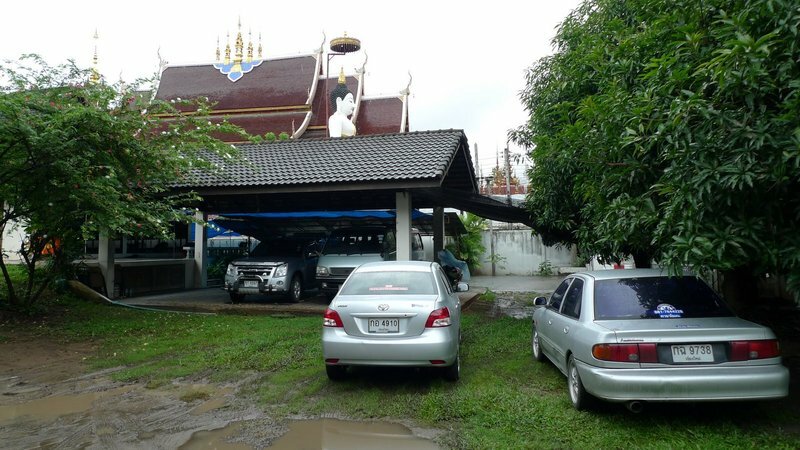 As you can see, Wat Montien is literally right next door. The restaurant is an open air pavilion just inside the gates. Grandmother’s house is further back on the property. The restaurant is open from 10:00 am – 2:00 pm daily except Sunday and quantities are limited. I opted for the khao soi nua (beef), which is always a good test for a khao soi restaurant. The key is whether they have stewed the beef long enough so that it is very tender. Grandmother’s beef met the tenderness test and the noodles were cooked to the perfect, not too mushy consistency. The curry broth is fully flavored, a little thinner than some versions I’ve had but not lacking in flavor. A small splash of boiled coconut cream added richness. It is customary to doctor your khao soi with a plate of garnishes. 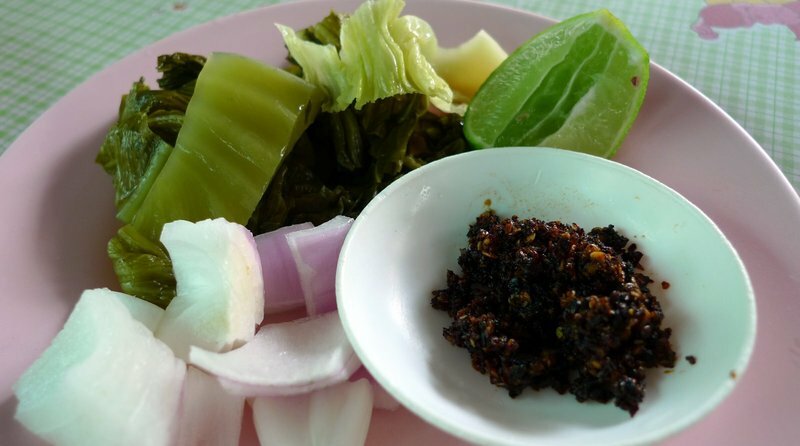 These always include some dark chilli paste, red shallots, lime, and pickled cabbage. I make it a point to taste the broth before adding condiments so that I can get a sense of the original flavor. The lime and cabbage add acidic notes that keep the curry broth from being too heavy. 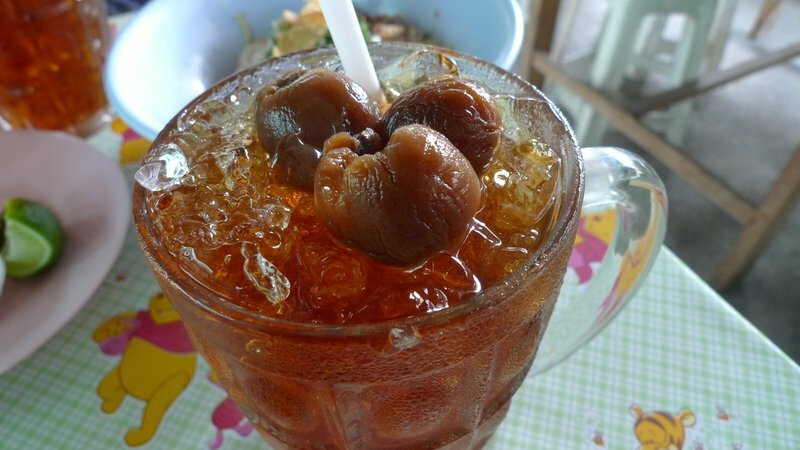 A wonderful drink with which to accompany the khao soi is naam lamyai, or longan juice. Don’t you love the high-end table covering? Winnie the Pooh and Tigger love khao soi! 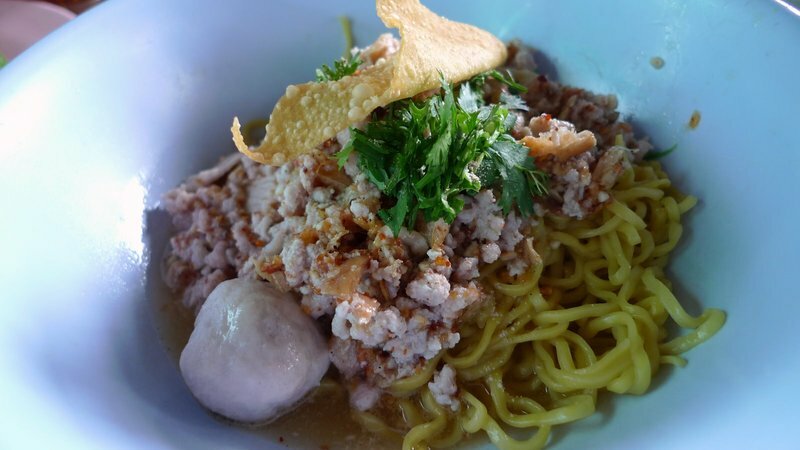 To get a taste of what else Grandmother’s Khao Soi has to offer, Tawn and I split a dish of bami moo, egg noodles with ground pork and pork balls. This dish is always comforting, a little sweet, a little savory (thanks to the fried shallots on top), and very easy to eat. The look of a satisfied diner. All told, Grandmother’s Khao Soi met and exceeded expectations, setting a very high bar against which other khao soi we tried during our trip had to compete. 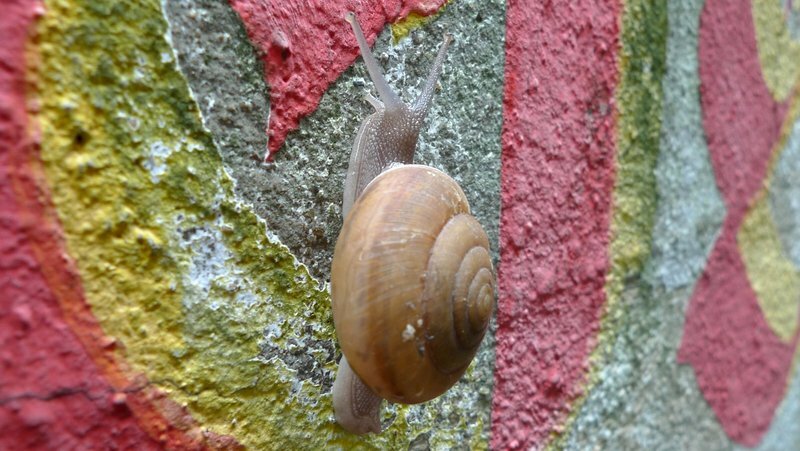 Not to spoil your appetite, but I found this garden snail climbing up the midst of the menu painted on the wall, crossing the “o” in “soi”. I thought it was an interesting shot. This entry was posted in Uncategorized and tagged Chiang Mai, curry, Dining, food, Grandmother, khao, Khao Soi, Khun Yai, muslim, noodles, Restaurant, Soi, Thailand by christao408. Bookmark the permalink. oh boy, i’m hungry now. Chiang Mai is one of the places I would like to visit someday. 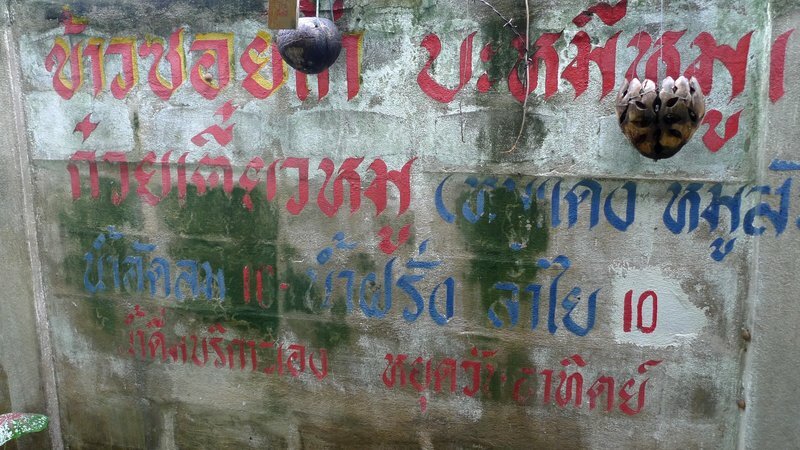 Very educational piece about northern Thai food. Wow is it not surprising how wonderful food comes from a little place. But it is true! The best Chinese I ever had in the states was a small place by a bus station in Philly. I love your post!! Thank you for bringing us along. I like the table cloth! I bet the food is all good old grandma home cooking! Always find the little places! I love the menu on the wall and the snail adds to the ambience. You are having a great time with the food I can see. I love the pictures of the food, and the snail climbing the menu. But most of all my eyes went to the puddles of water on the road and the parking lot. Send some rain here will you? Did you find that beef stew a bit strong..??? Oh gosh – this place looks so interesting. Did you see any other tourists there (probably not)? I wonder how she makes money with just those limited hours. I guess she makes enough to live on. All the photos of food were good – but the detail on the snail makes it the best one! O my they look awesome!